– increasing the number of calories the body uses. – Has your doctor ever told you that you have heart trouble? – When you exercise, do you have pains in the chest or on your left side (neck, shoulder or arm)? – Do you feel faint or have dizzy spells? – Do you feel extremely breathless after a mild activity? – Has your doctor told you that you have high blood pressure? – Has your doctor told you that you have bone or joint problems like arthritis, that could get worse if you exercise? – Are you over 50 years old and not used to a lot of exercise? – swing your arms as you walk. The Food and Nutrition Research Institute of the Department of Science and Technology (FNRI-DOST), recognize the importance of a wellness program in bringing about a healthy lifestyle among its staff. Thus it launched the FNRI Wellness Program spearheaded by Mrs. Celeste C. Tanchoco, Scientist III and Chief, Nutrition Science and Technology Division in September 22, 2004 at FNRI-DOST. The FNRI staff who enlisted in the program were made to choose an exercise regimen most appropriate for their health status and preference. One hour of official time in a week is allowed for the exercise routine. Some engaged in sports activities, such as basketball and badminton, while others do aerobics. The group engaging in sports activities like badminton and basketball still manages to sustain their activities, but some have shifted to brisk walking because of limited space in the Institute. Walking remains to be the easiest exercise and the least expensive. No special paraphernalia or outfit is needed. Only comfortable shoes and sheer determination are required to achieve desired results, whether it’s weight reduction or just to distress our lives from this fast paced world we live in. 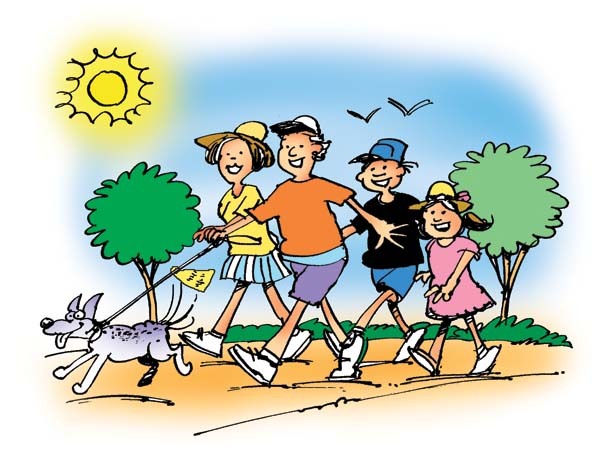 Let’s walk our way to health. LAKAD NA !